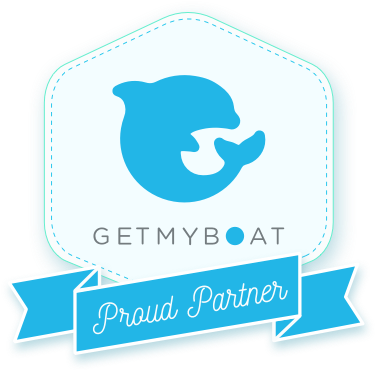 GetMyBoat is the world’s largest boat rental and water experience marketplace. We’ll bring the boaters and adventure seekers by the thousands and you can leave the marketing and transaction details to us. Creating a boat or water experience listing is completely free. You set your own price and keep more of your earnings with the lowest booking fees in the industry. The 7% service fee covers management of the platform, 24/7 customer service, identity checks, fraud protection and marketing services. Not ready to list your boat yet? Sign up to receive more information and periodic updates from the GetMyBoat team. Add a description, photos, boat specs and pricing to your profile. Interested travellers will contact you directly. Make an offer including availability, price and trip details. Quick online payments with built in fraud protection straight to your bank account. Best app for boat charter. I am a charterer and a boat captain. This is the best app out there hands down when you were looking to rent or charter a boat very easy to use very convenient!! it is the best. I have been using this app for nearly 3 years never have I had a problem. Thank you GetMyBoat for giving me an organization like yours to work with that can take my passion and turn it into a paycheck!! Is GetMyBoat right for my service offerings? If you are looking to generate additional bookings for your rental business or you’d like to generate income to cover the costs of boat ownership, then GetMyBoat is right for you. We enable boat rentals of all shapes and size, from Kayak to Catamaran, Scuba to Superyacht. Our ethos is to encourage the growth of the marine industry organically and connect the boating community to the largest audience possible. GetMyBoat allows you to make an almost unlimited amount of money for your rentals. You are able to set the pricing and manage your own rental schedule for your listings. The income is directly related to how much you want to put into it! We just make it easy. Payment for rentals is made immediately after the trip is completed. What if a renter damages my boat? On the rare occasion that this occurs, your insurance company should provide coverage for the rental. In most instances, if you are the Captain at the time of the incident, then a standard policy will cover it. If the boat was chartered “bareboat,” there are rental policies to cover the specific time period of the rental. GetMyBoat can provide recommended insurers on request. Manage trip inquiries and reservations from the dock with the GetMyBoat app.